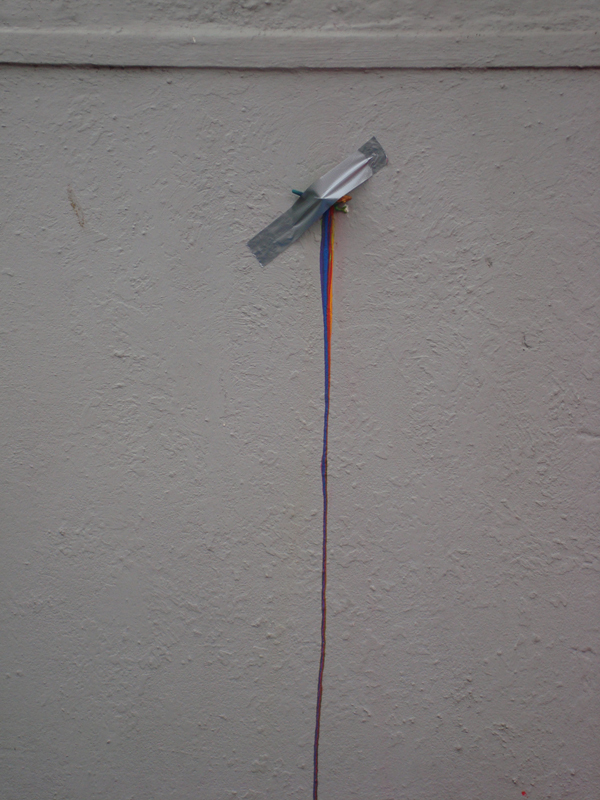 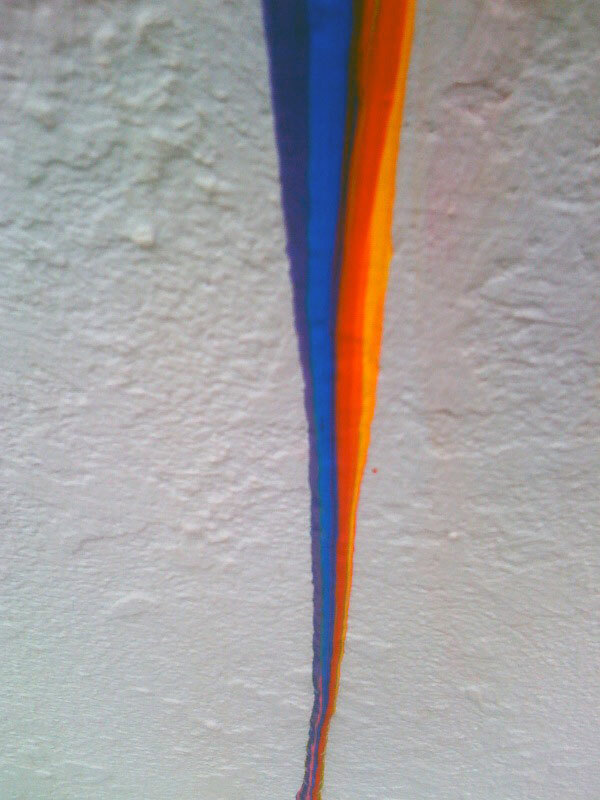 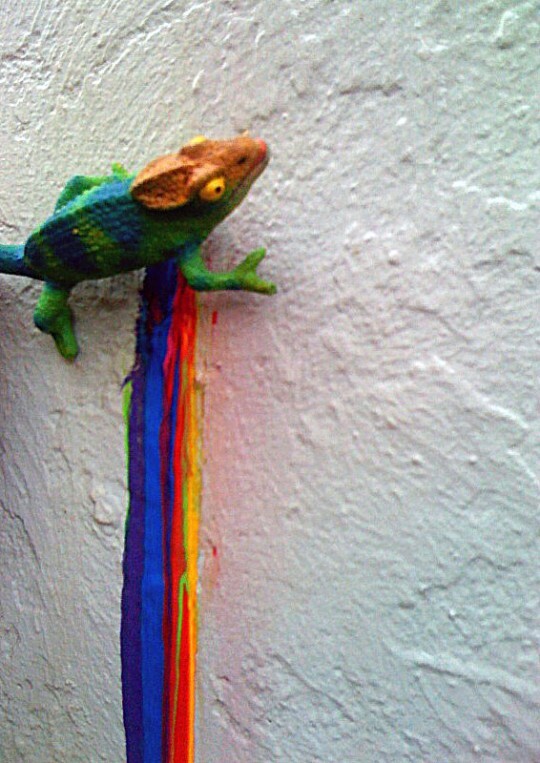 A chameleon sticks to the wall. The poor animal is cut open at his stomach. 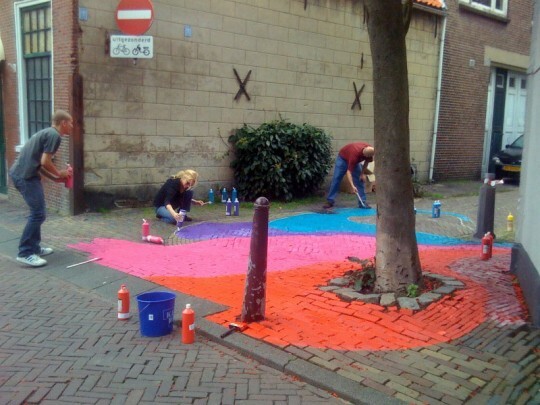 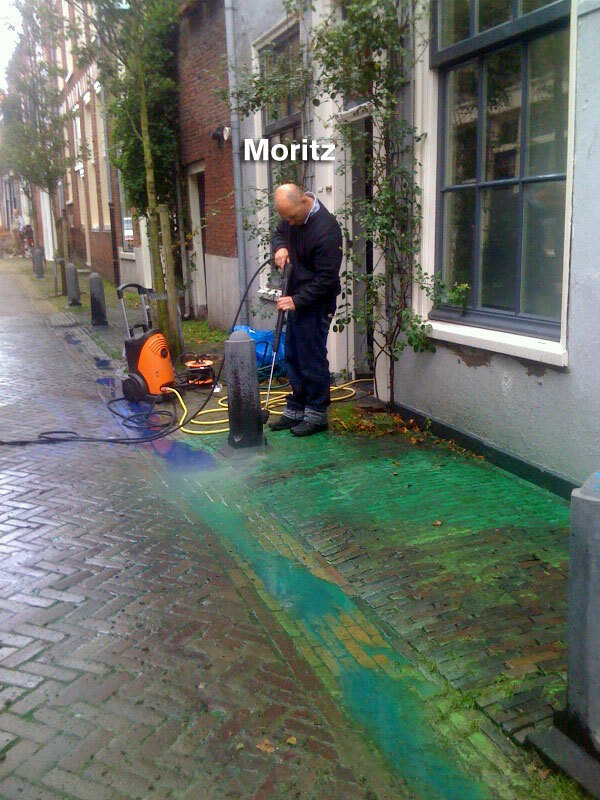 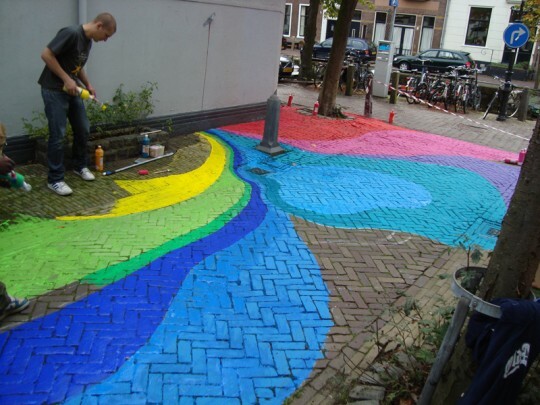 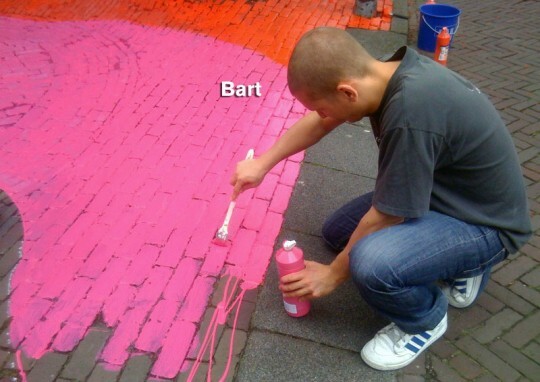 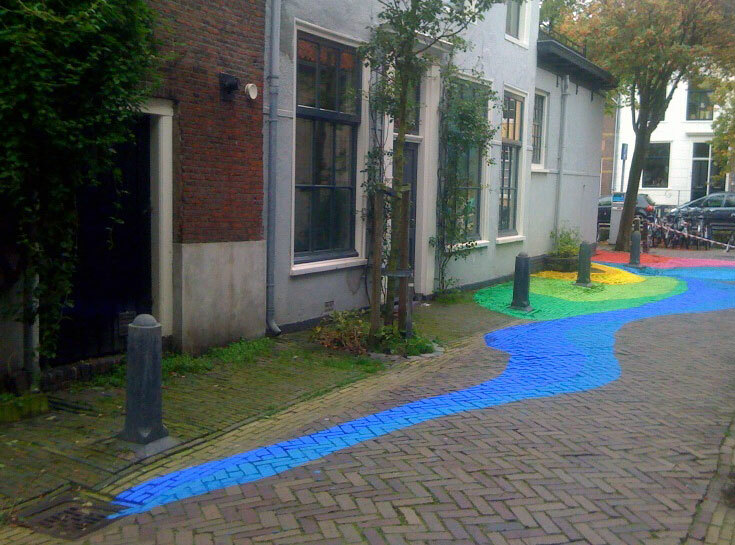 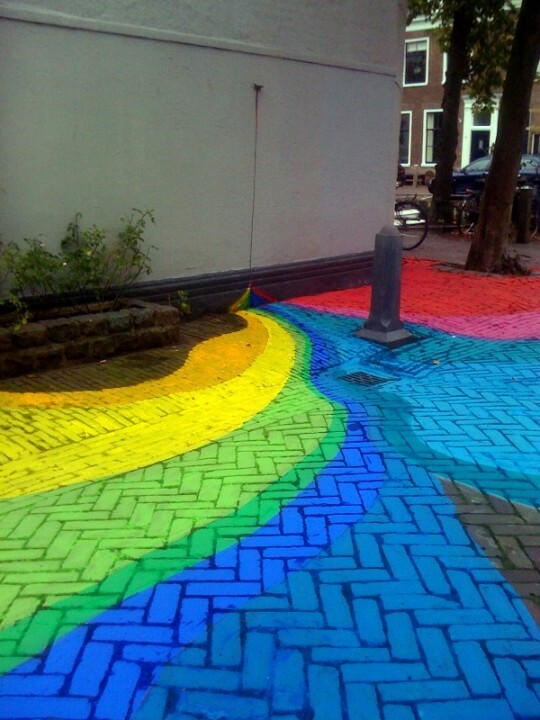 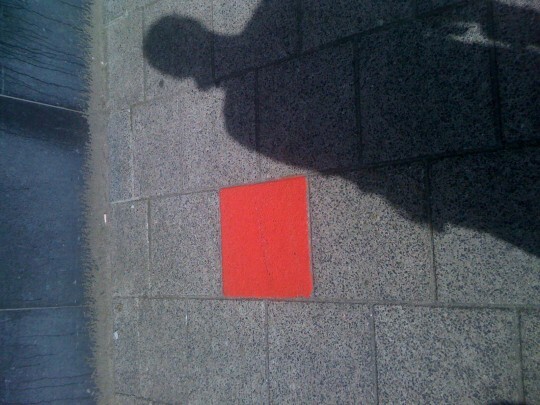 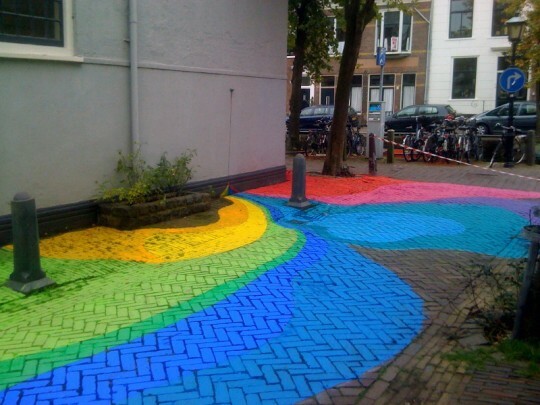 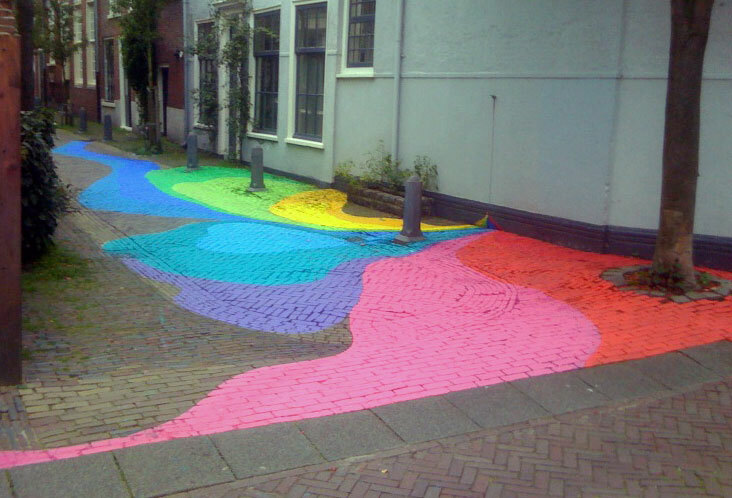 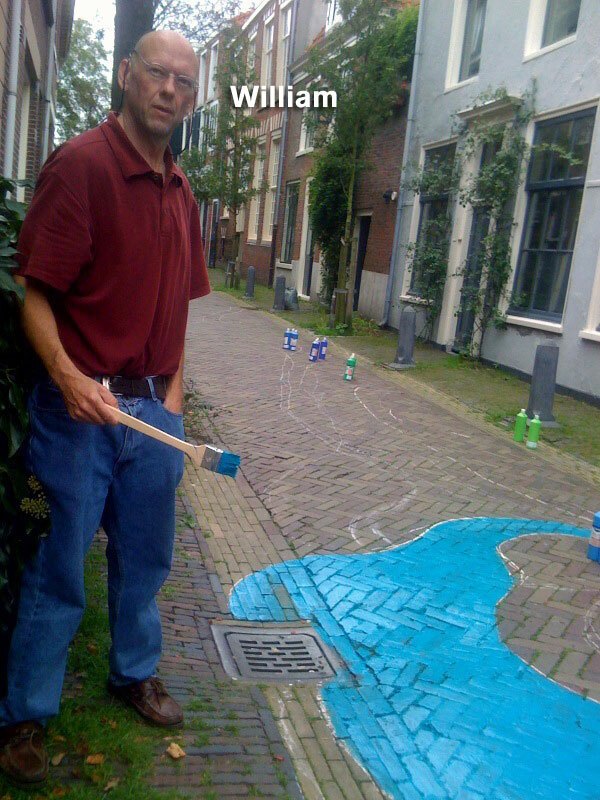 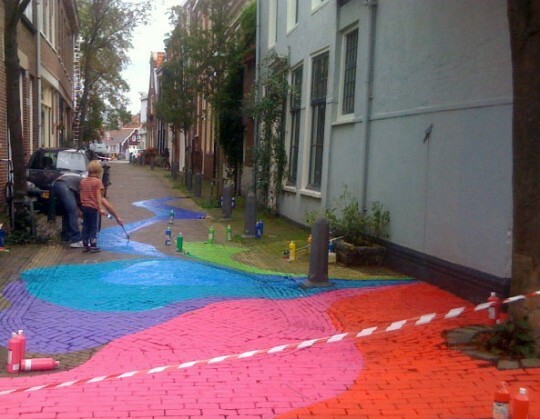 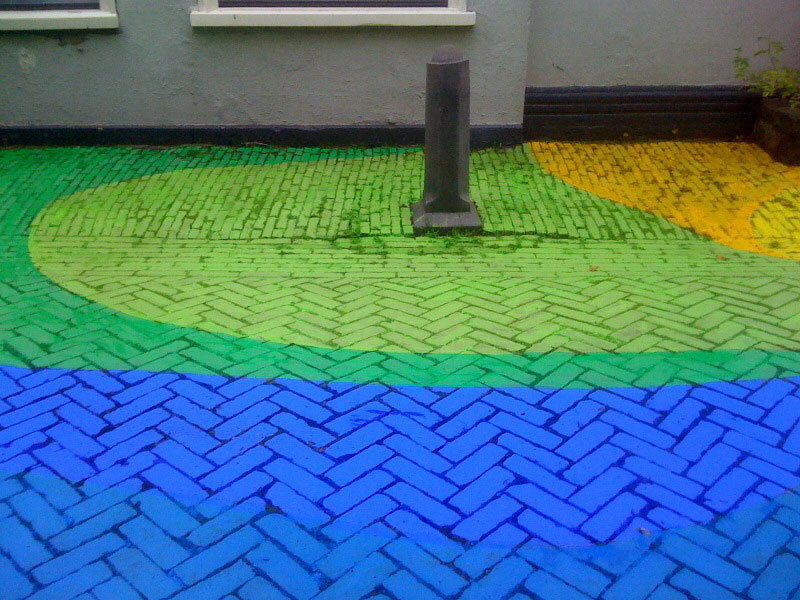 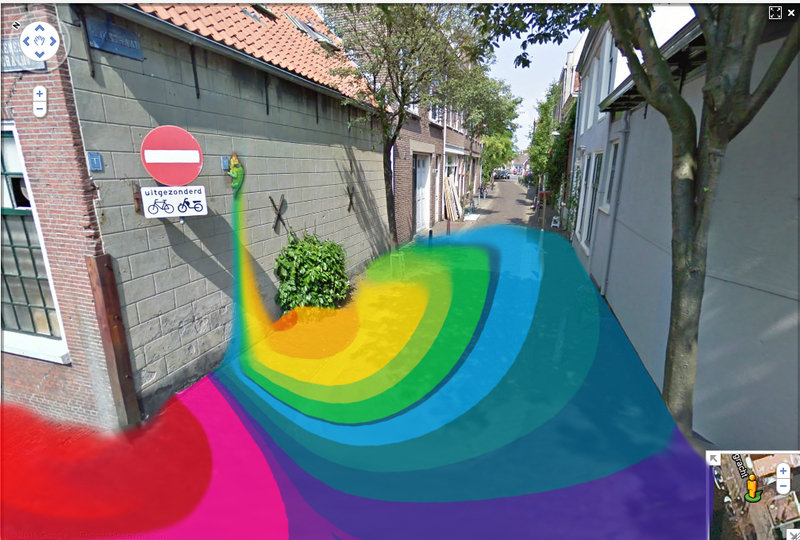 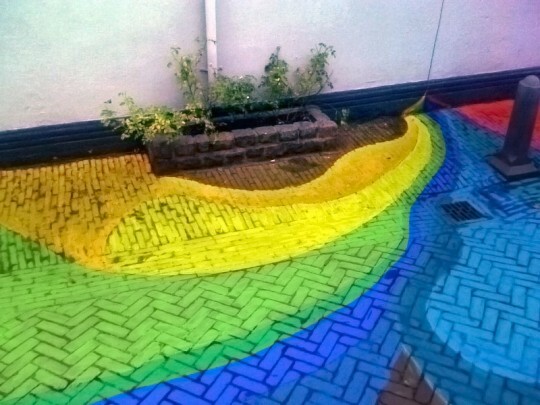 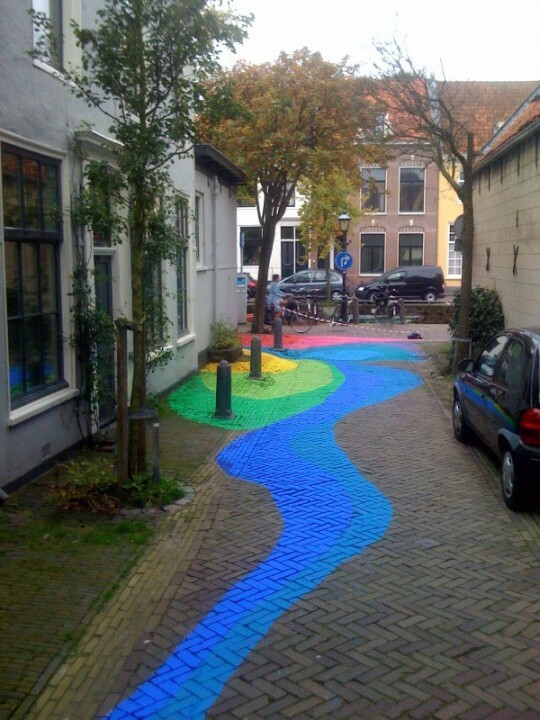 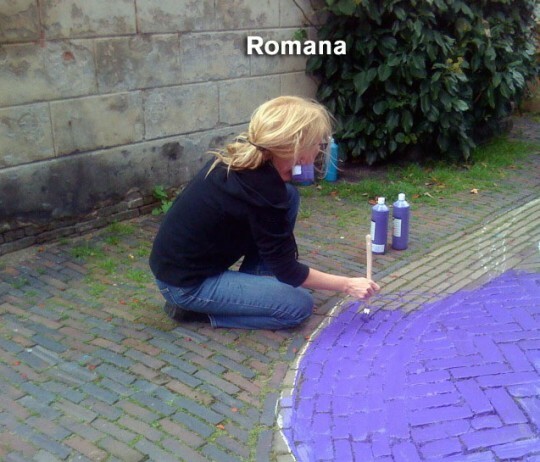 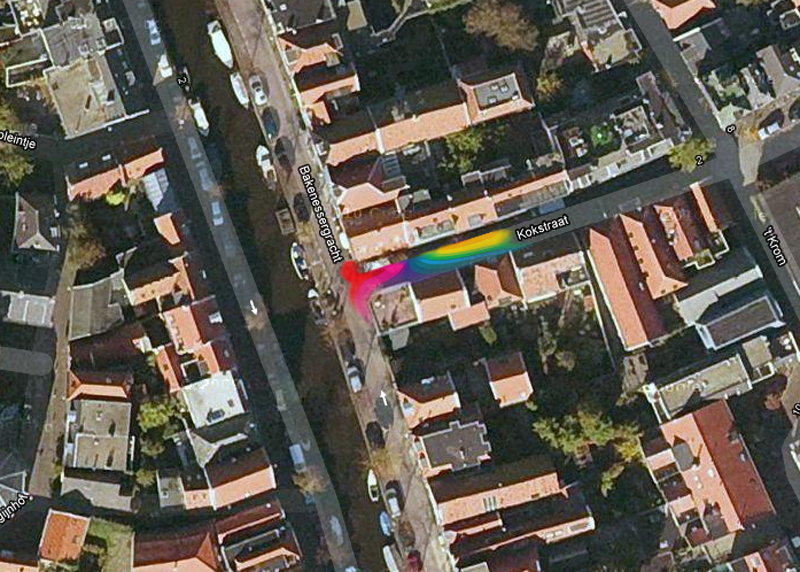 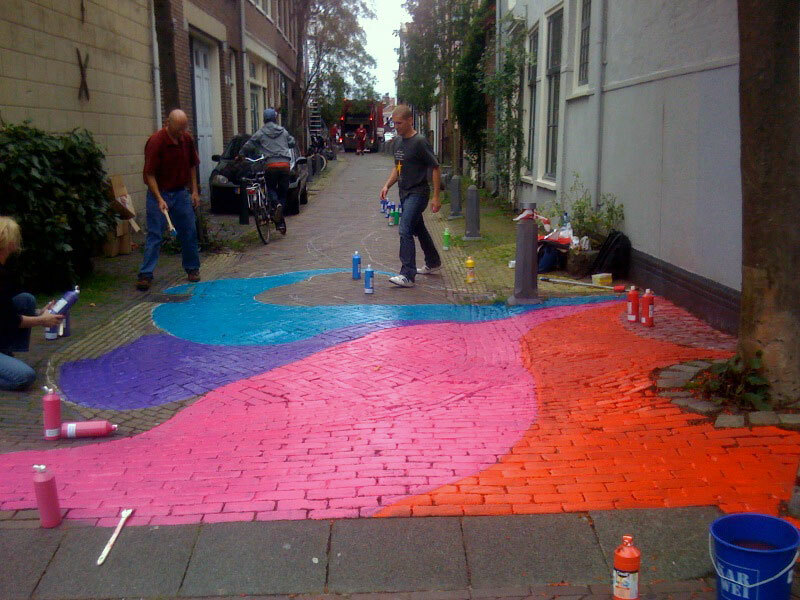 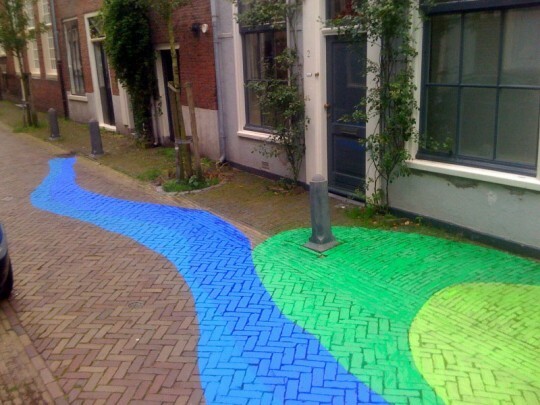 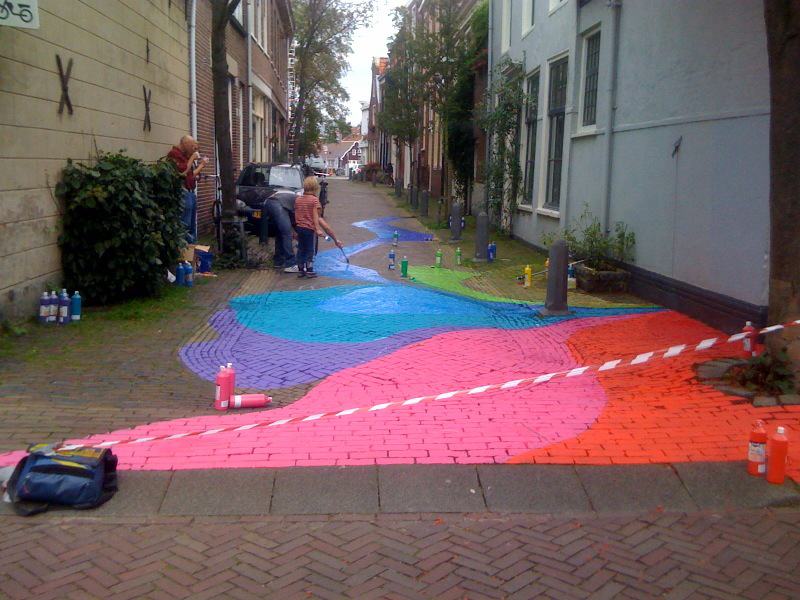 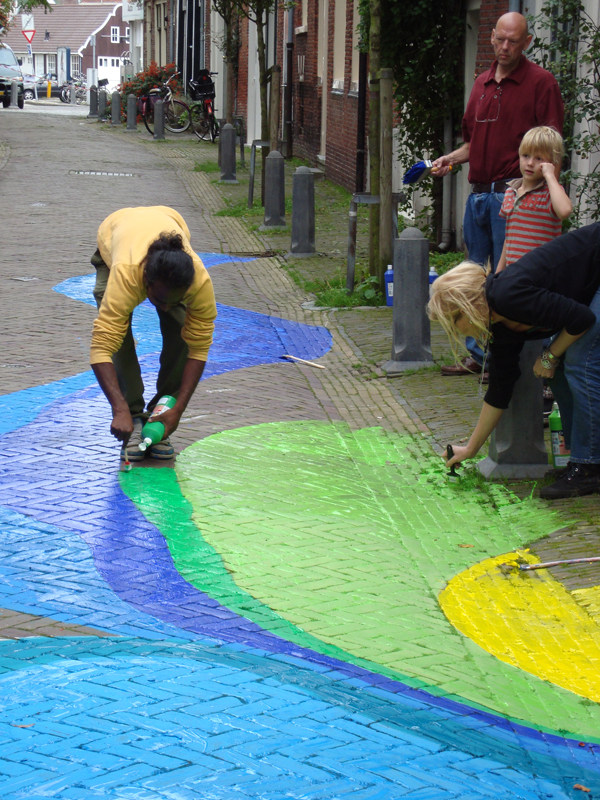 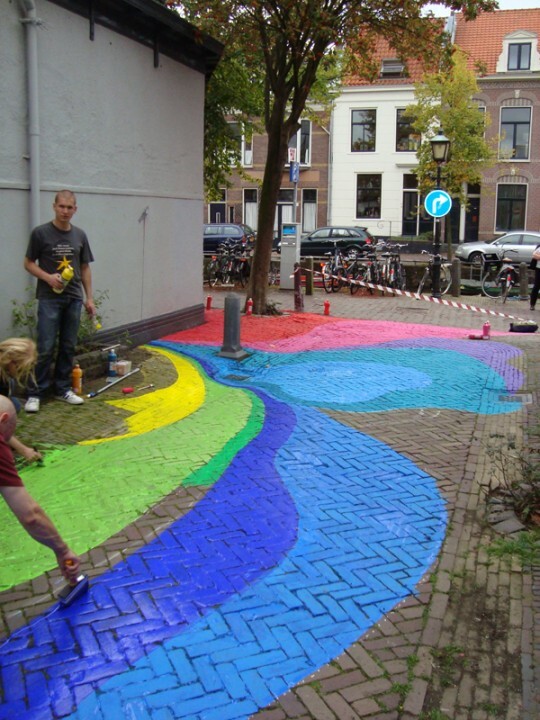 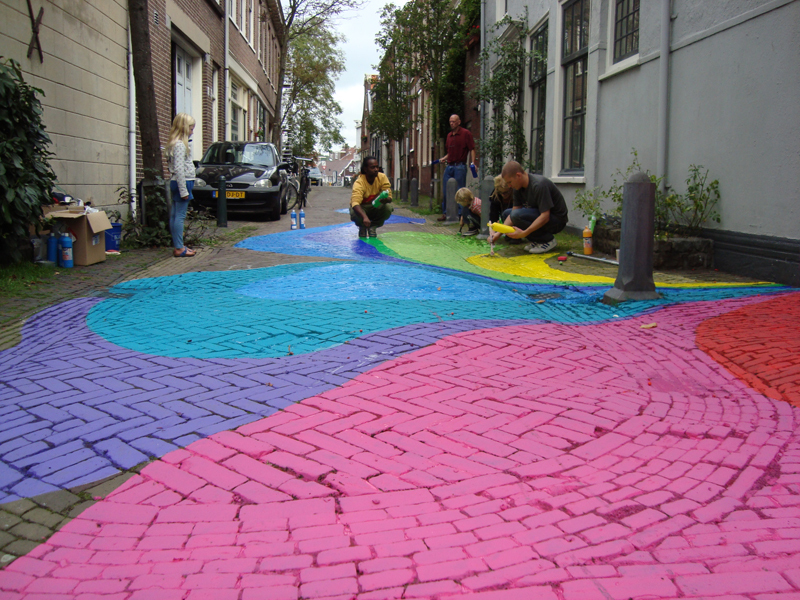 From the wound, a rainbow flows over the pittoresque cobblestones of the Koksstraat.